Brophy Painting Co. is a small, robust painting company which specializes in painting residential homes in San Francisco. Started in 1987, now with 25 years experience, we remain a vibrant, highly sought after, small painting company which takes special pride in doing high quality work and making peoples homes more beautiful. Interior, Exterior, it doesn't matter... We do it all! We work in every residential neighborhood in San Francisco. From the Inner Sunset District, where the company is located, to Pacific Heights, the Richmond District, the Excelsior, and everywhere in between. We move effortlessly from one neighborhood to the next, satisfying customers and beautifying homes wherever we go. 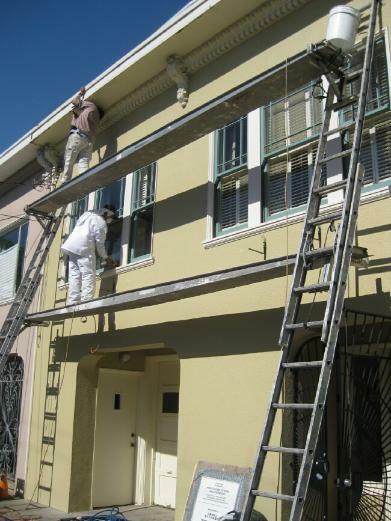 If you have a residence in San Francisco, and you need help painting your home, Brophy Painting is a great way to go.